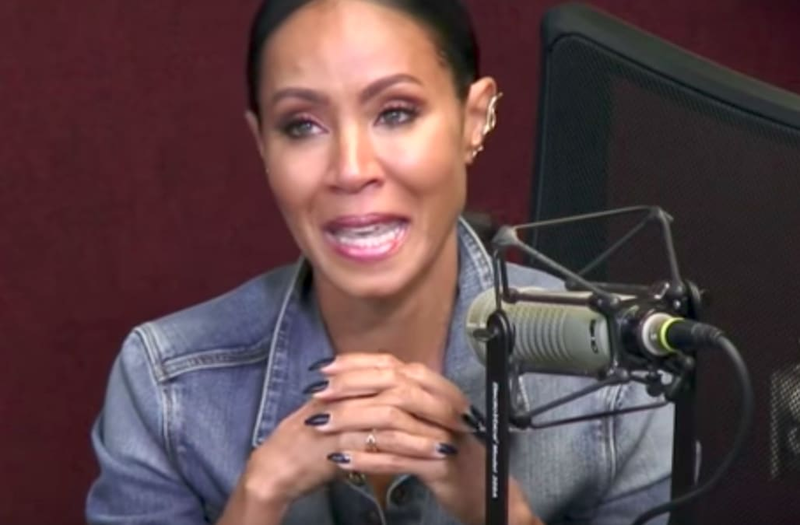 Jada Pinkett-Smith is still mad about the recent Tupac biopic, All Eyez on Me, especially its portrayal of her relationship with Tupac. The actress has publicly aired her grievances with the biopic, so the fact that she doesn't like it should come as a surprise to no one. But while she was in Atlanta promoting Girls Trip, she was once again asked about her feelings on the matter and gave an emotional response. "I wanted people to know that what you're seeing in regards to my relationship with Tupac is not true, and that was important to me because my relationship was really special and, um, it was very complicated and, um, I just felt like it was a huge disservice," she said, visibly tearing up in her response. She added that she was particularly upset that the biopic had fallen short, because she felt a true portrayal of her relationship with Tupac would have shown "what he truly was, because it's one thing to see Pac's persona publicly and who he was personally." She was particularly mad as she claimed that the movie used her relationship with Tupac to sell tickets and not to be true to the people involved. "I thought it was just handled in a very disrespectful way, and I felt like it was exploitative of me and Pac, how they used our relationship to sell a movie, and I just felt like it was tomb-raiding in regards to Pac," she said. "If you're really saying that you're honoring a man's legacy, then honor his legacy, and if you don't have the story, fall back until you do," she continued. "If you really feel like you did right by Pac, then congratulations. But if you didn't, really sit with that. 'Cause I hope next time, if you get another opportunity to make another movie about a legend, you'll do a different thing."